Road trip! Microsoft takes the Surface Book, Surface Pro 4, new Microsoft Band, and Lumias 950 on tour. The Hololens coming out party isn’t the only big product tour Microsoft's conducting in October. 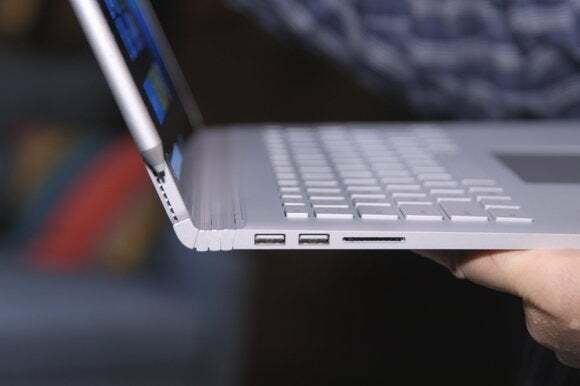 Beginning Monday, Microsoft fans in major cities from Atlanta to Vancouver will be able to get a first-hand look at the new Surface Book, Surface Pro 4, Lumia 950, Lumia 950 XL, and refreshed Microsoft Band. The event, dubbed Microsoft Device Night 2015, will include hands-on time with the devices, as well as demonstrations, a Q&A with Microsoft device pros, and food and drink. The impact on you at home: Device Night is meant primarily as a way for retail professionals, such as computer shop owners and tech support pros, to get acquainted with the new devices. Retail types registered with Microsoft’s ExpertZone can also enter a draw for a new Surface, and receive “exclusive swag” during the event. Although the event is meant for the retail industry, members of the general public are also welcome to check it out. You can register for your local event on Microsoft’s Device Night site.